If we're lucky enough to go on an international vacation with family or friends, we come home with memories, souvenirs, and more often than not, foreign coins that suddenly have no value. Unless...those coins are turned into a beautiful, personal memento from the trip! Last fall I did just that for someone who had gone on a big trip with friends to Croatia, and retuned with Croatian coins that she wanted to make into necklaces for the whole group. 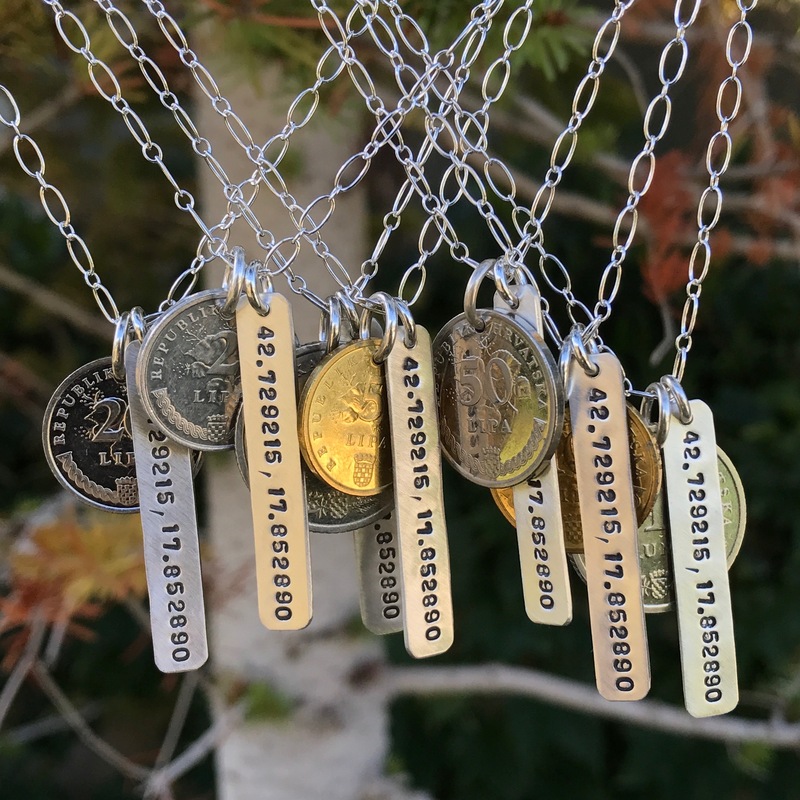 We came up with the idea to drill the coins to make pendants, and also to stamp the latitude and longitude coordinates of a very specific place in Croatia where they had an extra special memory. So each friend got their own necklace with not only a coin, but also a personal touch that made it even more meaningful. It was such a good idea - to turn those coins into something truly special for everyone on the trip. In fall of 2017, six friends flew with me half-way across the world to help celebrate my 40thbirthday in Croatia. It was a truly amazing trip. We joked, in fact, when we got back that it was too special to talk about. But I wanted to mark it – and these amazing women – with something equally special. 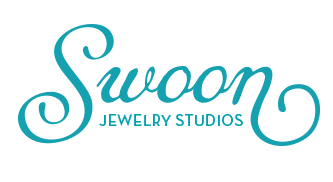 That’s when I found Jessie at Swoon Jewelry. I saw Jessie’s work in the display case at a local bookstore. It was all beautiful – and I knew the talent behind them would be able to help me transform the seven coins I’d brought home from Croatia into jewelry for me and my friends. 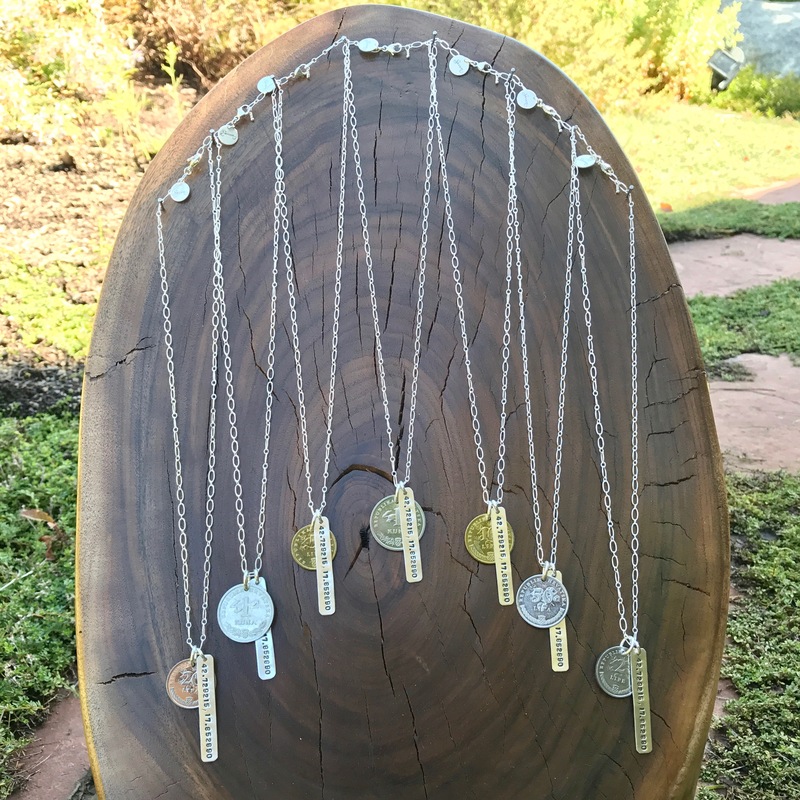 And that Jessie did: seven beautiful, handmade necklaces not only with the coins but also a stamped pendant with latitude and longitude coordinates of an especially significant stop on the trip. Six months later, my friends and I still wear the necklaces often. And they transport us back to Croatia. I couldn’t have asked for better souvenirs. Thanks, Jessie! PS: Jessie was a dream to work with on this custom order. She communicated regularly with me, emailing options throughout the process, and had the necklaces done when she said she would." Next time you travel, hang onto a few extra coins to create your own keepsake!